This January, the White House announced new rules that loosened the Cuba travel ban to allow more academic, cultural, and religious exchanges. Under the new rules, institutions of higher learning and religious organizations can sponsor travel to Cuba, and U.S. airports can apply to provide services to licensed charters. Since then, travel companies such as Insight Cuba, Friendly Planet Cuba, and National Geographic Expeditions have acquired licenses to operate guided trips to Cuba. Trips have a strong cultural focus and are, at least for now, still relatively pricey. 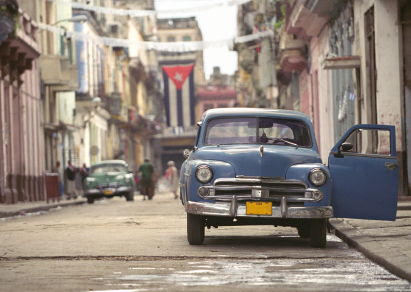 But for the first time in a long time, Cuba is a legal option for curious American travelers. That’s the backdrop for major U.S. airlines expanding charter service to the island. According to a Wall Street Journal article cited in USA Today, American, Delta, JetBlue, and United-Continental will be operating about 25 weekly charter flights to Cuba by the end of the year. Charter companies estimate “about 400,000 Americans will fly to Cuba this year vs. 250,000 last year.” Presumably, as more tour operators gain licenses to offer Cuba trips in 2012 and beyond, that number will continue its sharp rise. And as demand rises, airlines and tour providers aren’t the only ones looking to get in on the action. Airports in cities including New Orleans and Key West are seeking approval to offer flights to and from Cuba, so they’ll be ready when airlines come looking for more departure cities from which to offer service.